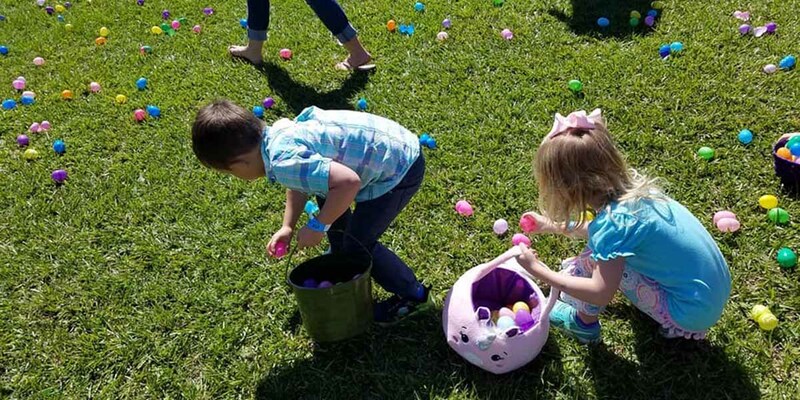 Bring your own basket for an old-fashioned Easter Egg Hunt! We divide the little hunters into groups by age (ages 1-4 and 5+). Exchange your eggs for a fun treat bag after the hunt! Our Easter Bunny will be hop-hop-hopping around the farm on all the days that he’s hiding eggs for the hunts, and he loves to have his picture taken with farm visitors! Plus — get BunnyBiskits or strawberry pancakes with whipped cream at the Calf-A, and munch (10-11am only) while you visit with our furry friend. Our CM Farms Calf-A will be serving up hot pepperoni pizza, hamburgers, footlong corndogs and more!! Plus, enjoy a Scavenger Egg Hunt, where clues lead you to Easter eggs around the farm! Once you find all 13 eggs, you will return the eggs and get a prize. The Scavenger Hunts will be going on throughout the day. All of our FUN, FARM ATTRACTIONS & BABY FARM ANIMALS will be ready for you to enjoy… PLUS the new Hen House, Pheasant Palace, Duck Dynasty & Hamburger Garden! For sure, there will be fresh picked strawberries to purchase, strawberry lemonade, strawberry cheesecake fudge, strawberry pop-sicles….and more! FRESH picked strawberries, blanched & frozen vegetables & frozen blackberries, blueberries & peaches will be available to purchase! Egg Hunts: April 13-14 and Easter weekend April 19-20. The Farm is open from 10 – 4. The Easter egg hunts will be at 12 and 2. The Easter egg Scavenger Hunt is ongoing all day long.